“My problem with the plot dates back 30-40 years ago. The engaged surveying company is completely unskilled in measurements. My complaints are sent from one sector to another. 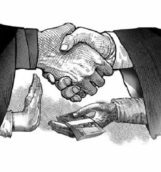 Again I will be dragged to courts…”, says Nikola Bogdanov, resident of the municipality Karposh, who only emphasizes that he will solve his property problems in another institution. 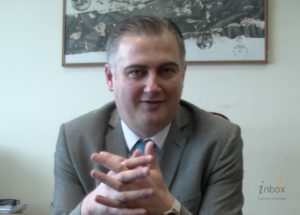 He did not want to comment on the accuracy and the work of the Cadastre, who recently organized “Open Days at the Agency for Real Estate Cadastre” to meet the needs of the citizens of Skopje and help them with their property problems. Yesterday dozens of people gathered again in front of cadastral counters to consult about land and houses. Some suggest problems with cases that are more complex and dating from the 60s, 70s and 80s of the last century. Others come for services for which municipalities and the Property and Legal Affairs Office are practically obligated, and others stress the need for more efficient organization with documentation. “Departments have become more diligent. I see improvement. I was sent to the counter and finished in an hour. But I am young. My father and mother are over 60. They come to the information desk, take a piece of paper, money order, but do not know what and where to write, whether it comes to issuing a title deed, a copy of cadastral plan or change of data for real estate. I think we need an additional person to go around, assist the elderly. 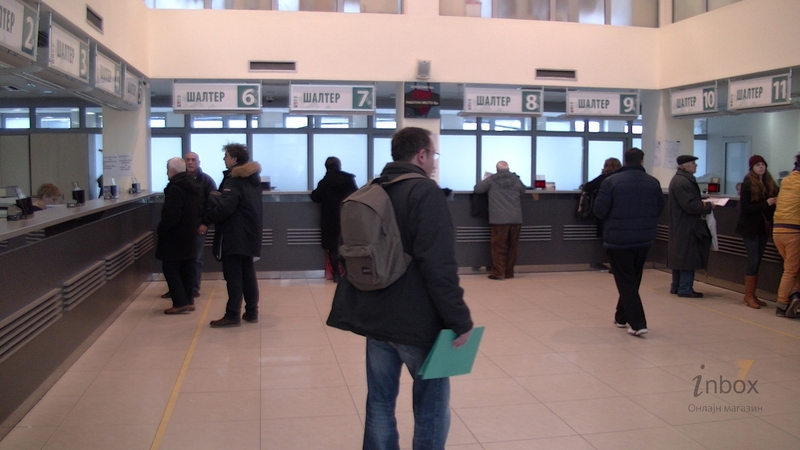 Thus, employees sometimes do not know “where their head is” – whether to fill out someone’s payment form or finish with you quickly for the queue not to become long..”, says Vesna M. of Taftalidze, who, like other citizens, does not want to speak in front of the camera. 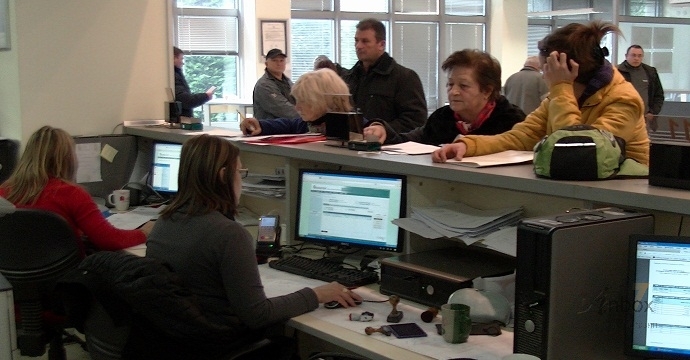 Citizens say that generally the wait time at the counters is reduced, on the other hand, there are still problems with lack of professional staff that can effectively track all requests, certificates of property conditions, and even issues of Skopje citizens regarding privatization or legalization of illegal buildings. Pero Gjorgjiev is a legal and financial consultant, part of the Cadastre. He says that legalization of illegal buildings is current at the moment. There are cases of different character – overhead and underground. But at the same time he confirms – some employees of the Cadastre are insufficiently skilled in their work. They do not fully understand the case. They turn down cases due to misunderstanding, ignorance. The rest, according to him, functions. “Surveyors work, jurists work, the legal office has people who need a bit more…Basically, everything functions. One cannot be satisfied with everything”, says Gjorgjiev. Director of Agency for Real Estate, Slavce Trpeski points out that the project “Open Days at the Agency for Real Estate Cadastre” has been implemented for seven years. They always start from October or November and last until March-April. In the past years they encountered various problems. First, citizens’ questions were mainly “why has not my case been solved”. As of 2005, all statistics were managed by the project unit of the World Bank, which controlled the work of the Cadastre. At the time the Agency received about 300,000 cases at state level, and 30,000 remained unresolved. As Cadastre was upgraded and the project with the World Bank progressed, citizens’ problems changed. There was a period when many citizens did not apply for a procedure for systematic registration, and in the last few years the questions have mainly been in the area of privatization and legalization of illegal buildings. “With this year’s “Open Days at the Agency for Real Estate Cadastre” we are somewhere in the middle. 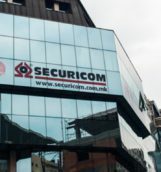 Again there are questions how to legalize the building, to privatize the building…I can say that having passed half of the towns in Macedonia there are mainly issues that do not relate directly to the Cadastre, but to municipalities or privatization in the Property and Legal Affairs Office. Given that our people have to know these things, we implement them and explain to the citizens the procedures to get a solution for legalization and what the Cadastre procedures are”, says Trpeski. Officially, last year, at the state level, the Cadastre received 1.168 million cases, and at the end of 2014 there were only 1,800 unsolved cases. From this institution they boast with efficiency of 99.4 percent. In 2013 there were 1,040,268 new cases for various reasons, of which 1,299 were solved, in 2011 exactly 1,160,691 cases – versus 3,894 unsolved, and in 2010 there was a ratio of 3,894 unsolved cases out of 538,434. 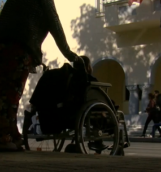 For Skopje Cadastre last year they received 352,283, and at the end of the year there were 1,581 unsolved cases, of which over 400 were for social categories of citizens. Skopje Cadastre is involved in the process of state and local character – update of geodetic bases for the barracks “Ilinden”, “Gjorce Petrov”, “Goce Delchev” in Aerodrom…Trpeski points out that in Skopje they are working on the new Bankruptcy Law or for completion and closing procedures, which, as he says, have been opened since the time of Ante Markovic. In terms of the project for digitization of cadastral plans, funded and overseen by the World Bank, the Agency has a duty until June 2015 to digitize 70 percent of the total territory of Macedonia. Trpceski claims that this figure has already been achieved, and complete digitalization will have been completed by December. 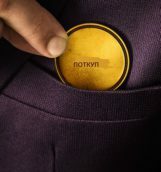 The legal consultant Gjorgjiev finds general improvement in the work of the Agency for Real Estate Cadastre. The Cadastre has over 200 employees, a solid norm of realized cases on daily basis has been set. On the other hand, there are not enough people in the Cadastre as there are requirements. “Basically the situation with the Cadastre has been settled. Many things have been set where the work is channeled, it can function. Well now, the situation depends on the crowd, one cannot complete everything the same day. Counters operate, employees carry out their function, but inside, the colleagues cannot achieve everything. I am talking about the number of individuals in terms of applications submitted…”, says Gjorgjiev.